LDS Girls and Boys attend Early Morning Gospel Instruction called Seminary. What kind of teenager would get up every morning at 5:00 am to attend a class on religious instruction these days? I'll tell you what kind, a member of The Church of Jesus Christ of Latter Day Saints, a Mormon, that's who. LDS Seminary starts out early in the morning for some. 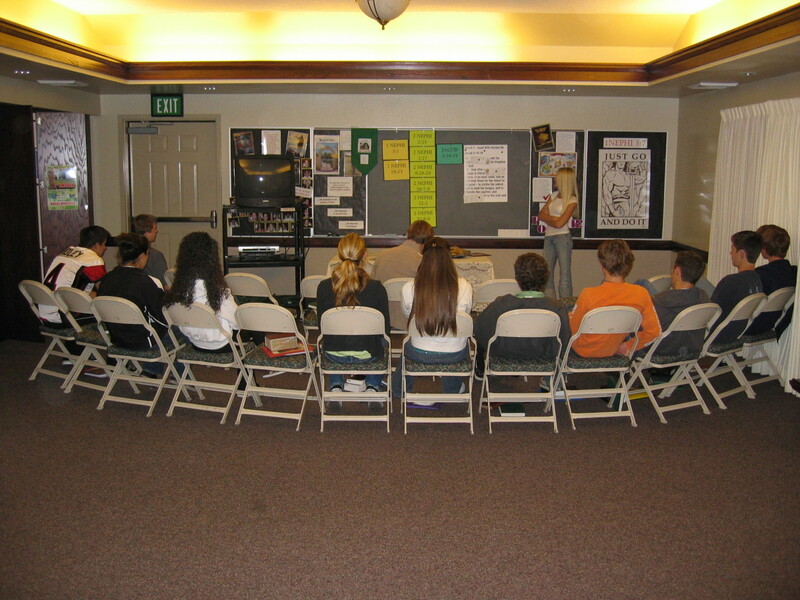 Early morning LDS Seminary is a program offered through The Church Educational System, or CES, in The Church of Jesus Christ of Latter Day Saints, which offers religious instruction to youth who are in grades 9-12, ages 14-18. It is a four year course of study that covers a different book of scripture each year including The Old Testament, The New Testament, The Book of Mormon, and The Doctrine & Covenants. These four books are the canonized scripture, or the four standard works of scripture, used by the Mormon Church. LDS Girls and Boys get instruction on Mormon Doctrine in LDS Seminary. I can't wait to tell students, teachers and parents alike, about the newest version of the LDS Scripture Mastery App by The Church of Jesus Christ of Latter-day Saints! 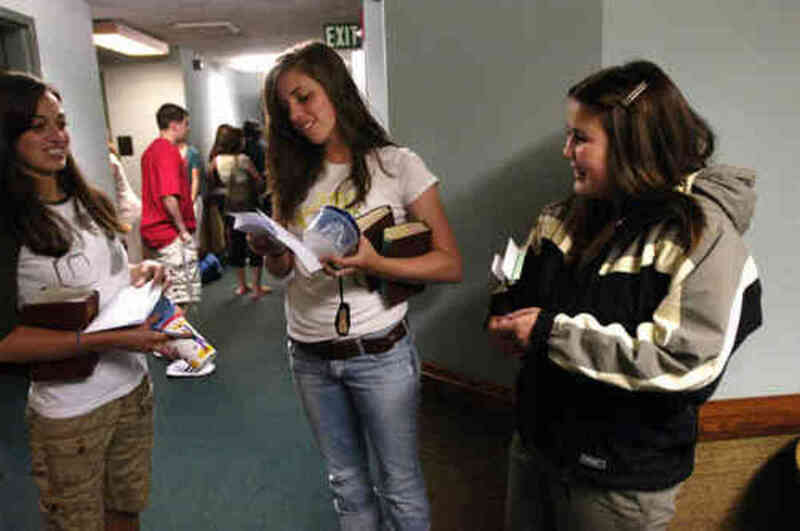 Religious instruction and socialization are both a part of the LDS Seminary program. LDS Seminary is the place for Mormon Teens to be. LDS Seminary, which began in the church in 1912, is a place for extended spiritual education beyond the Sunday school instruction offered by most Christian churches. Teens study the doctrines of the church in the same way they would English or Algebra, in a daily classroom setting. This results in an educated, motivated core of young believers who have helped to make Mormonism one of the world's fastest-growing faiths today. 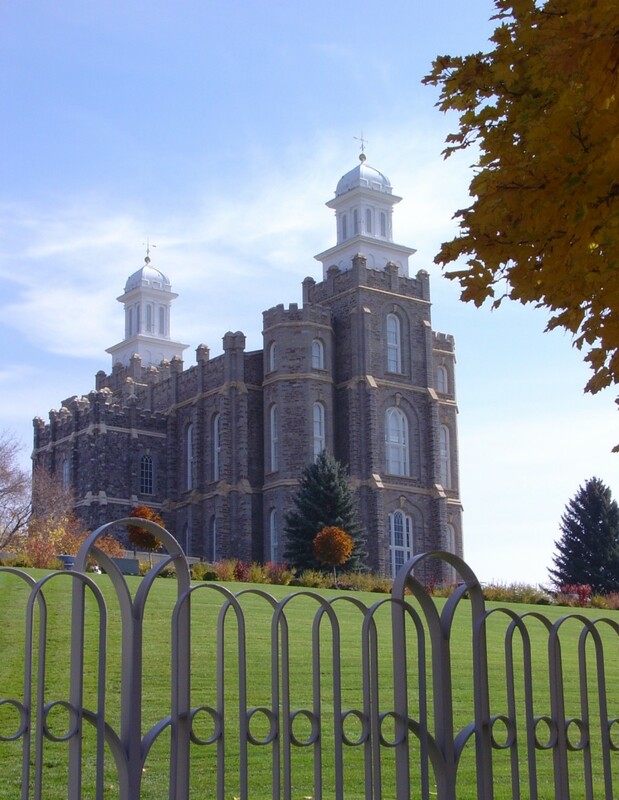 The LDS seminary classes themselves are about 50 minutes long, and are usually taught by an instructor who is typically a volunteer for the job. Although in some areas LDS Seminary buildings are provided, it is more common to find most of the instruction located in the church building closest to the local High School. The latest statistics in the church reported a total LDS seminary enrollment of 362,756 youth throughout the world. This same type of further religious instruction is also offered in the college and university level, and is called Institute. What do the kids themselves think about LDS Seminary? Sleep is nice, but seminary will change your life. We have been asked by the prophet to attend seminary. It is an inspired program where we can learn about the gospel through seminary teachers and other students. I know that you will be blessed for your efforts and that your testimony will grow just as mine has. I'm still struggling with being on time for seminary, but I know that's where I should be in the early morning. I find that having a desire to learn and participate makes it a little easier. Plus, when you go to seminary with a class, you make new friendships and become better friends with those you already know. I always have a great day when I go to seminary before school, because I have the Spirit with me for the whole day. There is a unique feeling of fellowship and love at seminary. When you attend with those who share your values, hopes, and feelings, you become strengthened and unified by each other. Getting up early is definitely worth the memorable experiences of seminary. Early Morning LDS Seminary rocks! The reasons that these youth choose to attend LDS Seminary are varied depending on the youth themselves, but some common benefits can be felt by all who attend. Attending LDS seminary can help them increase their testimony of Jesus Christ, and helps them gain a further understanding of His teachings. It helps the youth to build friendships with other Church members, or youth who have common interests. It starts the day off in a positive manner, inviting the spirit to be in their lives daily. The early-morning seminary program -- with all its attendant adventures and blessings -- is highlighted with a series of profiles on students, teachers and families from around the country, on MormonTimes.com beginning May 10. English speakers have their own seminary classes in Tokyo. Each of the four wards in the Tokyo Japan South (English speaking) Stake has a before-school international seminary class overlaid by daily seminary classes in the Japanese stakes. For the past eight years I have had the privilege of instructing the youth in my area through the LDS Seminary and Institute program. Seven of those eight years were spent teaching early morning seminary. I loved being an LDS Seminary teacher. I have seen the impact that this program has had on the lives of the teens that have taken advantage of this great opportunity. I have seen them on good days and I have seen them on bad days. Because of this daily prolonged contact that I have had with them I have had many opportunities to observe them in all areas and share wonderful experiences with them, possible only second to their own parents. I have laughed with them and cried with them. I have shared my testimony of the Lord and Savior, Jesus Christ, with them. I have seen them become productive, happy, successful young adults who are now my friends and associates. "As we look to the future, I see our young people in the Church. I see a lot of them. I see them all over. And I am absolutely enthusiastic about the quality of their lives, their strength, their goodness, their faithfulness. I haven't the slightest concern about the future of this Church as I see our young people. They study the scriptures. They go to seminary and institute. They pray about their decisions. They socialize among themselves in a wonderful atmosphere of faithfulness. 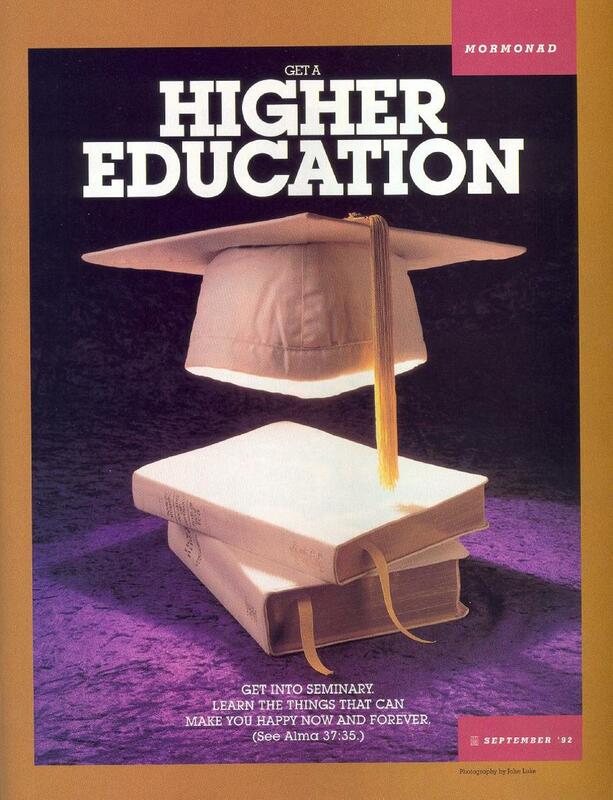 They are on their way to becoming strong, and faithful, and able Latter-day Saints, who will deliver when they are called upon to do so"
LDS Seminary is truly a from of higher education and religious instruction. "It is a paradox that men will gladly devote time every day for many years to learn a science or an art; yet will expect to win a knowledge of the gospel, which comprehends all sciences and arts, through perfunctory glances at books or occasional listening to sermons. The gospel should be studied more intensively than any school or college subject. They who pass opinion on the gospel without having given it intimate and careful study are not lovers of truth, and their opinions are worthless." Read this HUB to find out just what is taught in the Book Of Mormon. Learn of it's origin and it's purpose. See it as "Another Testament of Jesus Christ." going to seminary at 5 clock it seem easy for me a lot of time but hard when i do a lot of homework at night.bein in a seminary help me to learn more about got annd being like him by studing the bible and the book of mormon and it encourage me a lot to be worthy and alwys be agood girl and honoring my parents.ialso have a good day when i attend seminary everyday. Hi anyonw, just stumbled across this site and thought it was great. As Christine has said about 2 years ago, I too am teaching my 2 children seminary, but love it. I joined the Church when I was 23 so I never got to go to seminary either, but I am truly grateful I have been called to the position. It is great learning for me too. I am looking for any activities I can find. If there is anything thatyou can suggest I would appresate it. My kids are participating very ell, but just went to my first inservice meeting and learned that you can take hem n outings and do activities.THat all sounds great, but I have no imagination, so if anyone can help. I would love you for ever. I want the kids to think that I am the best teacher ever and really love seminary more than their pillow. This is my first year of seminary, and so far I really like it! I am a bit jealous of those who have release-time seminary, though. Im 16 and this is my 3rd year of seminary and i realy like it. Going to seminary has helped strangthen my testamony and bring me closer to hevenly father. This is a great resource for Seminary Teachers! Great links and ideas! Hi guys, just browsing the net for Scripture Mastery Game ideas and found your site. Love what you have put together!!! I live in Perth Australia and this is my second year teaching this wonderful course. I have the best kids in the country and we have so much fun!!! Our resources are limited over here, so if you know of any sites I can go to to get ANYTHING please let me know. Thanks, and have a great day! I finally ran into the LDS group. I have started some hubs to get people thinking on religion. See my hub, where has all the prophets gone. I am going to build from there. I like you flat out openness. It give me incentive to write more LDS concepts. Don't say that too loud, they will call you to be a Seminary teacher! lol If they ever do, make sure you take advantage of that wonderful opportunity. Seminary is awesome. I was an adult convert and never got to go to seminary. I am kind of sad about it. I see all these teenagers with such strong faith, and it is so great. And they know so much about their faith. It is fabulous. I wish I had gotten to go. That is really dedication! They will never be sorry they did. Seminary is the best way to start your day! My 3 teen boys go to Seminary in the COLD early mornings here in Maine! I am glad that you found this Hub and the resources in it. I think that LDSCES is the best place to find great quality teaching information other than simply the scriptures themselves. Teaching in the morning is a challenge for all involved but it is rewarding as well. It helps them start their day in a positive way. Good luck teaching your daughter, I believe it will be one of the greatest blessings you have been given. This is a wonderful tribute to all the seminary teachers and students. 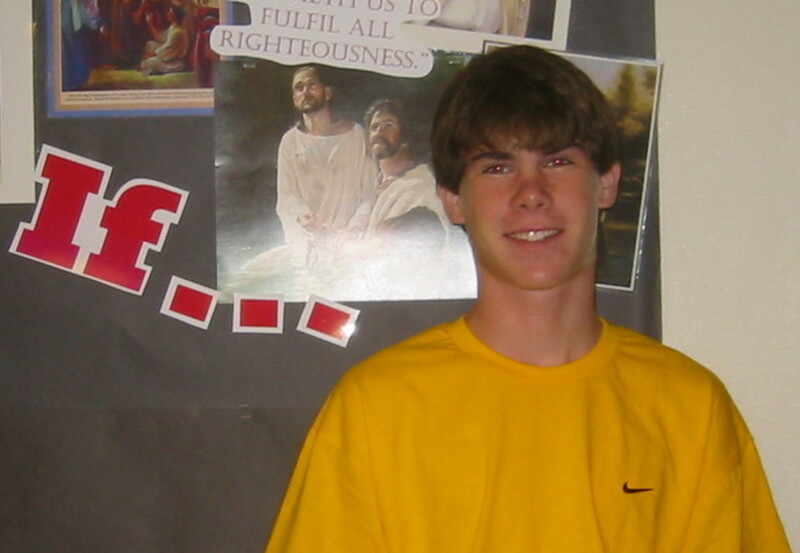 I loved Seminary, while growing up in Arizona. We were lucky to have release-time Seminary during the school day. I took the two classes at BYU for Seminary instructors. I taught early morning Seminary in Lakeside, AZ for a couple of years. That was when I was in my late 20's. I salute all of those students who love the Lord and the Gospel more than their pillow, as LdsNana says! I'd like to find out how many more churches have these types of classes. It's certainly a good start in life. I have a student that attended an AG church from a young age through high school graduation and he was in insutruction 6 days a week as well, as well as a young man's group similar to Promise Keepers and the Love Can Wait program, as well as mentoring younger youth. When he graduated, he took some time off from everything, but stayed near a church that was connected to a Bible School. He plans to work for a year and go there. So, I think the AG classes helped a lot. He grew up at-risk, but became a success. I hope others post about their scriptural classes too. Wow! That kind of dedication and religious instruction is remarkable. I guess that other denominations have the same type of early morning instruction but I wasn't aware of it. Thank you for adding some insights here. I think that any type of gospel instruction is awesome, and I applaud your church and their dedication to the word. Our church is full gospel and we have 6:00 am or 7:00 am class (depending on grade levels) for the church school kids K-12 and it continues throughout our college. It truly does help instill a right way and a gournding in Spirt and the knowledge of the indisputable Voice of God. We also have church and Bible School for the kids for 7 hours on Sundays, 3 hours Wednesday evenings, and additional classes 2-3 Thursdays and Saturdays. Our pre-school kids get the Bible class training as well - ages 3 and 4. Now many of China's children, on the other hand, reeprotedly attend school from 8:00 am - 5:00pm, doing all the building maint. &amp; cleaning too, and again from 6:00 - 10:00pm Mon-Fri and 8am - noon Saturdays all year - Lots of human rights violations plague the country. A marked difference. Thank you for your kind thoughts. I truly love LDS Seminary and the youth that attend. These are dedicated kids who want to try and learn more about their religious beliefs. I am grateful that I have the opportunity to be an LDS Instructor, although I receive no worldly pay, I am really blessed more than I can convey. Thank you again. Wish I could give it more than one thumbs up. That was great. LDS Seminary is a wonderful way to instruct the youth of the Mormon church in principles of the gospel. I loved it when I was a seminary teacher and now love teaching institute as well. The CES is a wonderful organization that offers instruction to all ages, furthering the education of all members of the church. I love Seminary! The Pillow Case Idea is awesome! 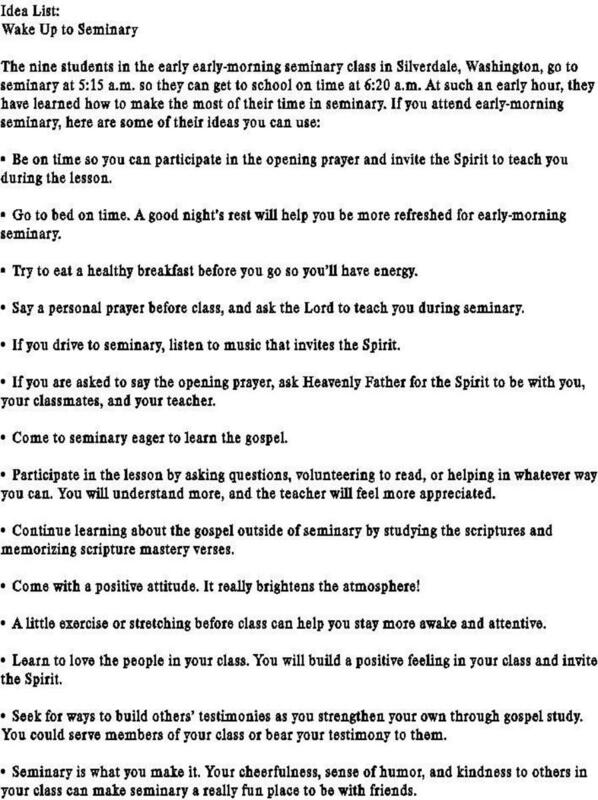 This is a wonderful overview of early morning seminary for LDS youth. I too have taught seminary and although the early mornings were rough, it was worth it every day. I love these LDS girls and guys who are so faithful. One year that I taught, at the end of the year I gave each of my students a pillowcase. On the case I had embroidered &quot;Thanks for loving the gospel more than your pillow&quot; I think that really sums up the kind of youth who are willing to come to seminary every morning. 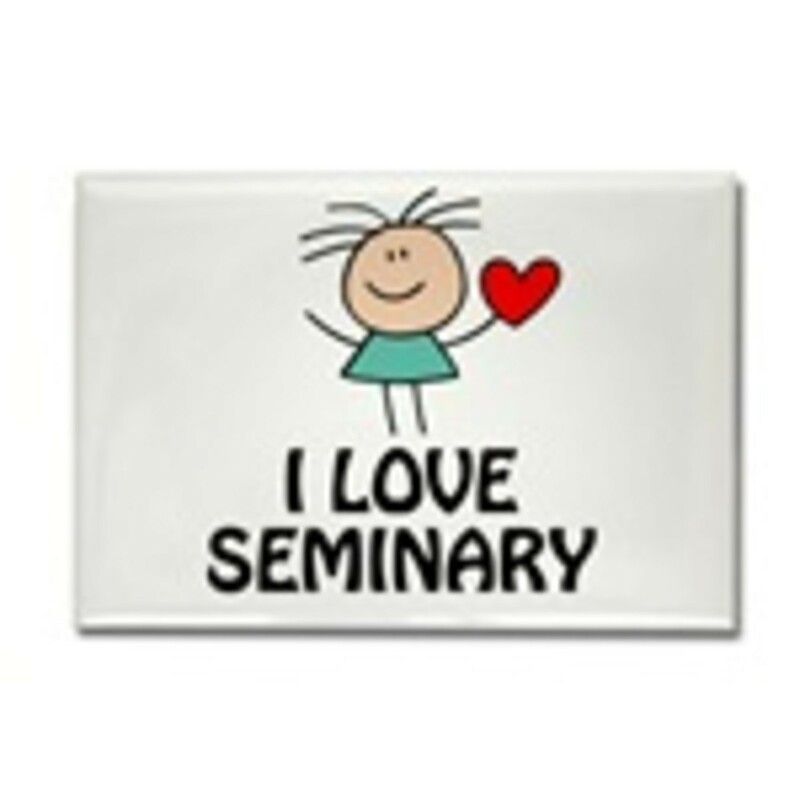 I must agree wholeheartedly with you, I love Seminary too!